The UK’s Biggest Free Entry Paddlesports show returns for its 11th show in the spring of 2016! After a successful show in 2015, May 14th will bring warmer weather and water, bigger and better stands, more variety and more to see. Set right in the heart of Exeter the show site offers lots of off water activities as well as on. The show is a great day to see what paddlesports is all about, whether you are a newcomer looking to get started or have been paddling forever! 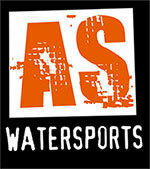 The range of boats, paddles, clothing, equipment and accessories to see is unrivalled at any other event in the UK. We also claim that the South West is the best all-round paddling destination in the UK, sea, surf, lakes, canals, estuaries and white water. Come and see for yourself, we are sure you will agree. Canoeing and kayaking is great fun for the whole family, young, old and in-between. Come and see how easy it is to get started.